WASHINGTON (Legal Newsline) - Former Republican presidential nominee Mitt Romney took aim at an ineffective Congress that he says lacks the will to tackle perpetual challenges including the national debt, income inequality, poverty and foreign threats. Yet, he said he remains optimistic. "America has all the elements to lead this century," Romney said at the U.S. Chamber Institute for Legal Reform's annual summit Wednesday. Job growth and wage increases were central in his brief remarks to approximately 250 U.S. business leaders. Fostering a good job environment includes having in place a legal system that encourages innovation and a government that does not play a "heavy hand" in picking winners and losers, he said. Middle class income would rise if businesses would have to compete for workers, he said. But, "we" need to do a better job at keeping companies who are finding it more attractive to leave the country than stay, Romney said. "We've got to stop them from leaving," he said. "We need to figure out how to make them want to stay." The country's litigation environment is another reason why some businesses leave and others choose not to locate in the U.S.
Romney, who lost by a margin of 51.1 percent to 47.2 percent to President Obama in 2012, said he could have done a better job at communicating his message that a good business environment translates to better jobs and wages for the middle class. He said that certain audiences including entrepreneurs understood that "shorthand" speech, but that it may have sounded as if "all I care about is rich people." He said he watched the presidential debates and was frustrated because there was "almost no disucssion of what I have described" in entitlement reform, poverty, poor education systems and wages. He said that income inequality hasn't gotten better, it's gotten worse; the level of people living in poverty has not improved; education costs have tripled in 45 years, but test scores haven't improved; Isis is a massive challenge, yet our military capacity is shrinking. 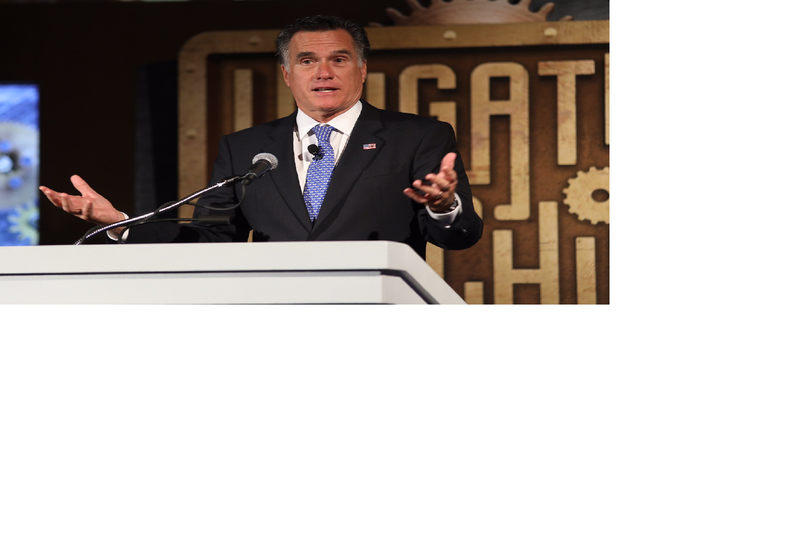 Romney said his business experience helped him when he first entered the political arena as governor of Massachusetts. He encouraged business leaders to get involved. "If you get the chance to run for president, do it," he said. "You'll love it...I'll be right there rooting for you." Want to get notified whenever we write about White House ? Sign-up Next time we write about White House, we'll email you a link to the story. You may edit your settings or unsubscribe at any time.